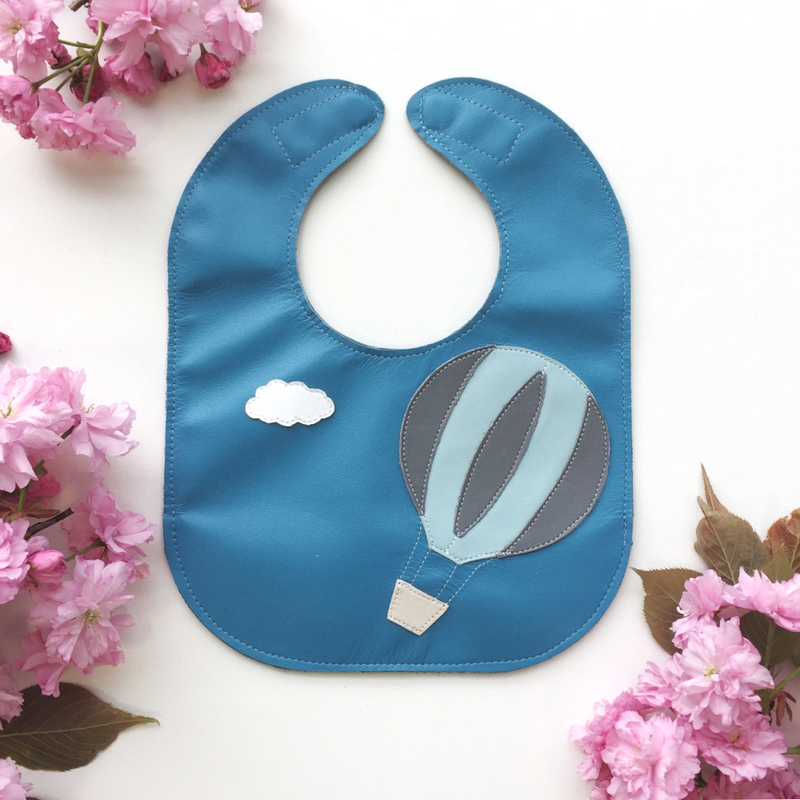 This Hot Air Balloon Bib is part of our new Explore and Adventure collection that we designed in celebration of Canada's 150th Birthday! 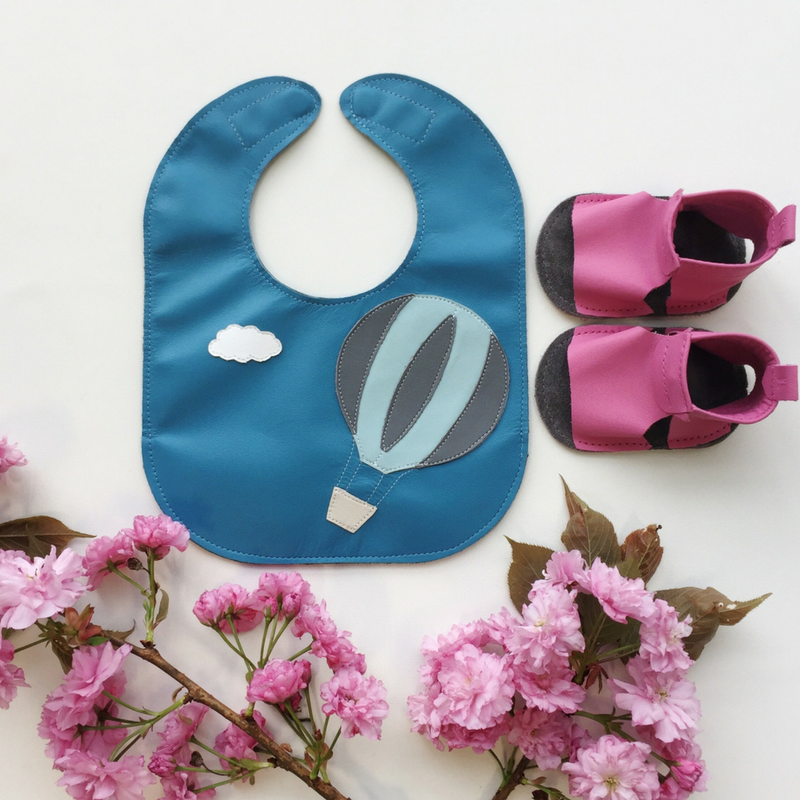 Our goal with this collection was to design 4 gender neutral bibs that celebrate the freedom and nature that Canada has to offer, as well as hopefully capture memories from the past and memories to be made in the future enjoying the outdoors with family. Whether you are from Canada or somewhere else and love the outdoors, we hope you love these new designs and what they represent. 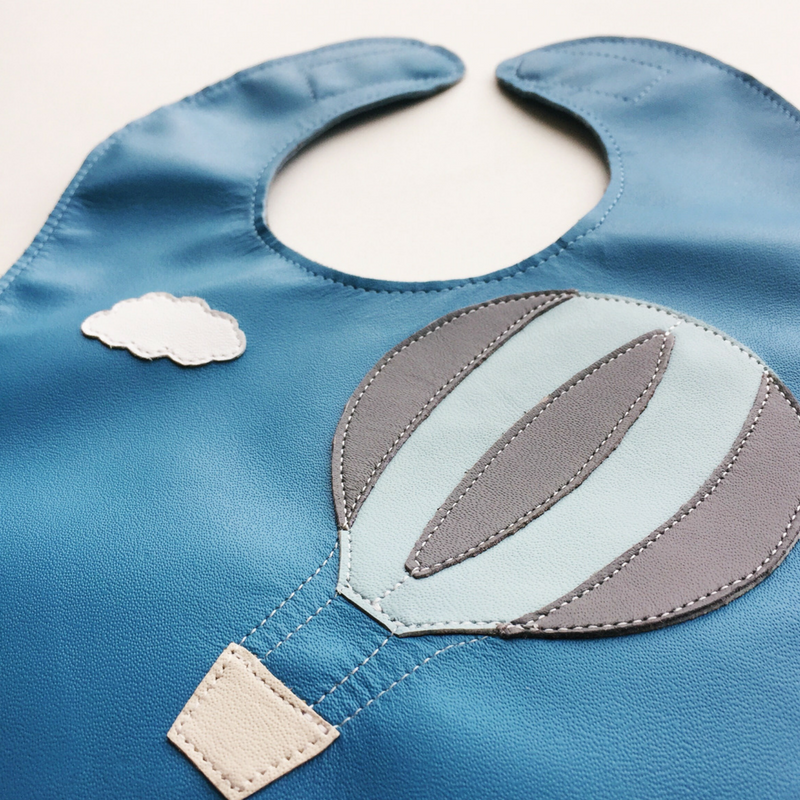 This bib is on our wave blue with an iceberg, elephant grey and sand hot air balloon, and a white cloud. The pocket is on the opposite side of the design, making this design reversible. The pocket is iceberg and can be personalized with a first name, last name, nickname or word of your choice. Shown with Bubbblegum Mally Mocs Sandals with no fringe. 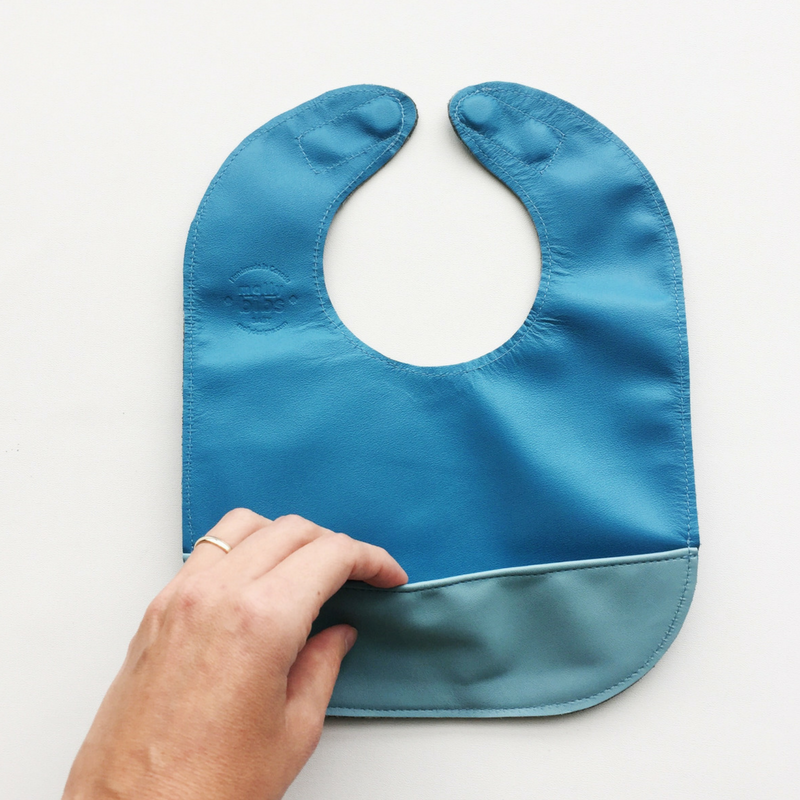 We absolutely love these bibs! We received the ambulance bib as a gift (we really like the ambulance since mommy is a paramedic!). 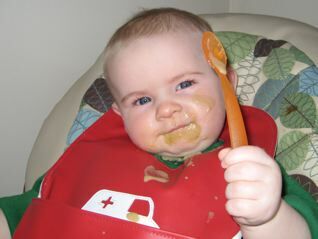 They keep our little messy munchkin clean during messy meals, they are durable and so easy to clean. These bibs save us so much time and money since we don't have to do as much laundry!